In case you haven’t noticed, the retail payment industry is ripe for disruption. In fact, said disruption in manifesting itself in a variety of ways. Square has its sights set on local vendors, and has amped up outreach by putting its units on shelves at Walgreen’s, Stapes, and FedEx. New app Paydragon has targeted the food cart line with user-friendly QR codes. Belly offers rewards systems — as well as iPads — to small retailers. So what do all of these applications have in common? They’re aiming for the small, local, mom-and-pop types that are best suited for opening an iPad and setting up shop. Which means that the enterprise point-of-sale client is still up for grabs, and Revel Systems has staked its claims here. “We’re not going after the street vendors or people buying couches off of Craigslist – we’re going after the enterprise level POS system,” co-founder and CEO Lisa Falzone tells me. Revel Systems is a relatively young company, but has been able to put 500 Revel terminals out into the market. And that’s thanks to this surprisingly wide open playing field. When asked what their main competition is, Falzone tells me its the old-fashioned cash register. 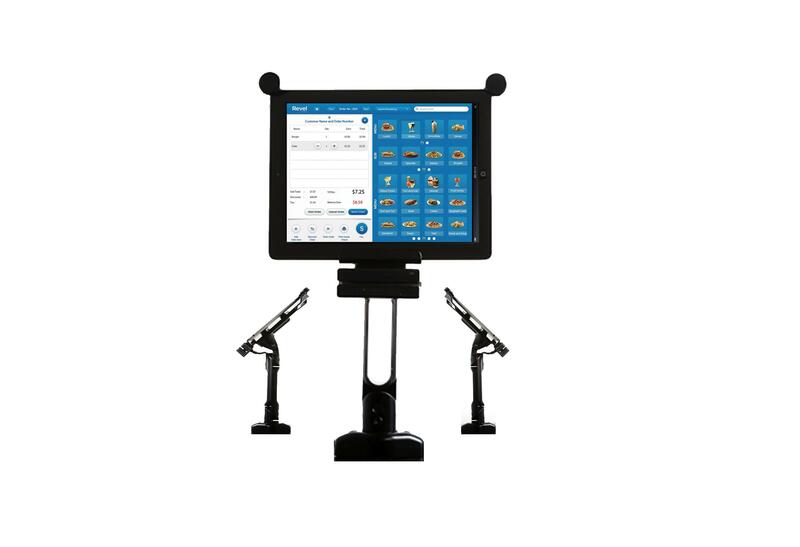 Businesses interested in making the POS solution switch find themselves heading toward Revel once they need a stronger service. A few months ago, she told me that she “didn’t want to name names” but that customers have come to Revel saying they need a better system. Revel partners with Geek Squad and supplies the hardware so the setup and installation are a smooth process. The Revel API means that the system will continue to grow. Falzone previously told me that there’s plenty of developer interest, saying LivingSocial, Opentable, and Groupon would be great applications to incorporate.